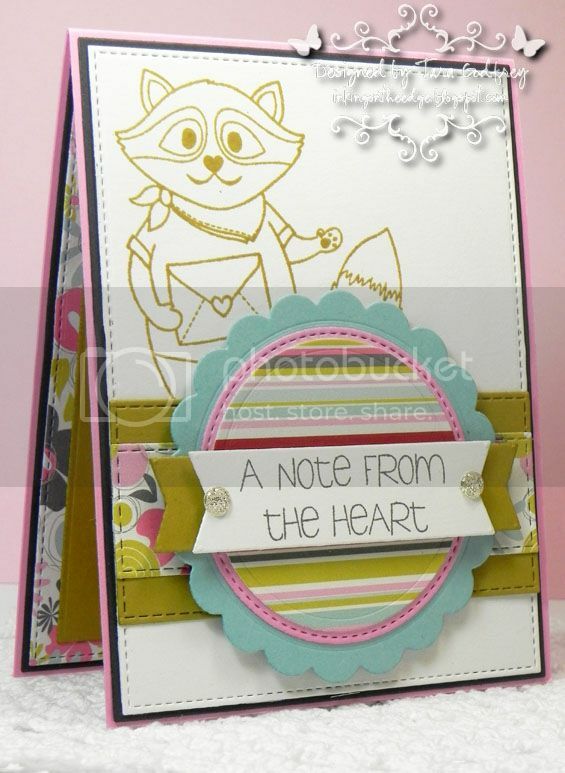 Inking on the Edge: Reverse Confetti....Happy World Card Making Day & some RC news...Rocky Raccoon! 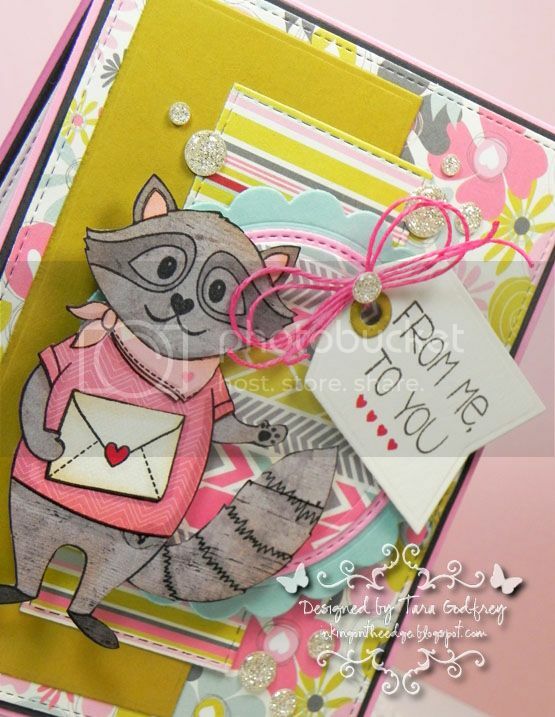 Reverse Confetti....Happy World Card Making Day & some RC news...Rocky Raccoon! Happy World Card Making day, fellow 'Fetti Fans! We have some really exciting Reverse Confetti News!!! Jen, has a New Mini Release for October in the works and it will be available on October 8th! You won't want to miss this fabulous October Mini Release and the all the amazing inspirational sneak peeks from the Confetti Crew...Stay tuned!!! And this year we have an amazing prize package from 32 awesome sponsors! Want to know more about this contest? It’s very simple, you see. Paper craft a delicious card in one of the following five categories, and then send it our way! We’ll pick three winners from each category, and their cards will be published in the April 2015 issue of Paper Crafts & Scrapbooking along with their headshots. And of course, they’ll win this amazing prize package with products from the following sponsors worth over $675! 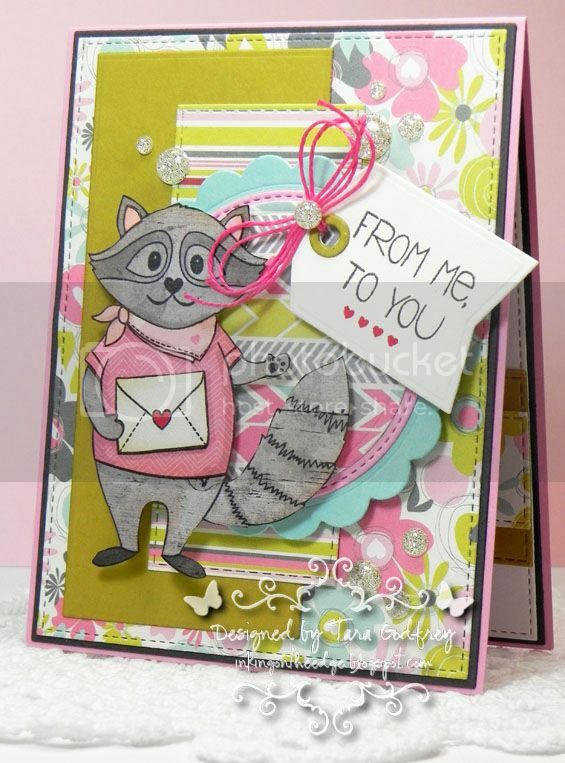 This is my card with Quirky Cuties - Rocky Raccoon for World Card Making day and I used the Reverse Confetti SFYTT # 17 again....LOVE this sketch...LOVE that I can get a totally different look by simply changing the orientation of the sketch! I used some pretty Be Loved Fancy Pants 6X6 papers. I paper pieced Rocky Raccoon from various patterned papers, cut him out and popped him up on the circle panel cut with the Circles 'N Scallops Confetti Cuts. I used my Toner Grey Copics to add some shading and shadows to my paper pieced Rocky. I think my Rocky card would be perfect for the PaperCrafts Contest...Hello/Thinking of You theme or even works for the Love theme. 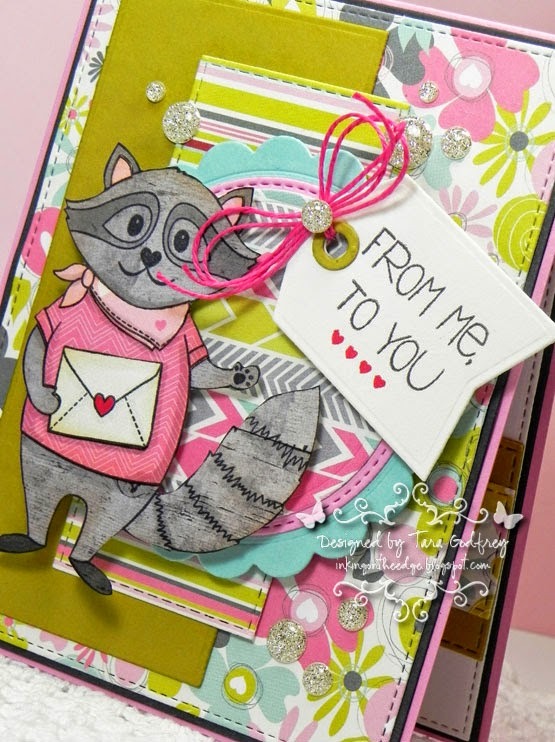 I stamped a sentiment from the Rocky Raccoon Stamp set on the small tag from Tag Me Confetti Cuts. I added a little American Crafts twine and sprinkled a few sparkly Gumdrops. I finished off the inside too...I stamped a shadow image of Rocky Raccoon and stamped another sentiment from the Rocky Raccoon Stamp set on the banner cut with the Love Note Confetti Cuts. I Hope you have a great World Card Making Day! 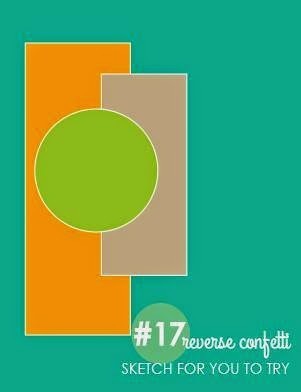 Why not make a card with your Reverses Confetti Stamps and Confetti cuts and enter the PaperCrafts & Scrapbooking 2014 World Card Making Day Contest. 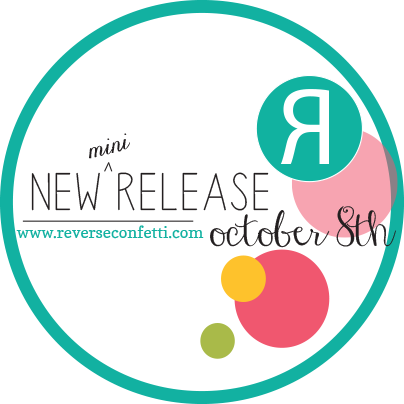 Also, be sure to check out the Reverse Confetti blog for details and inspiration with the October Mini Release that will be available on October 8th! Honey, I love the colours of this!! !